The ethereal ring, with the gorgeous heart shaped amethyst and 14K white gold band, the Apples of Gold jewelry experts have exceeded all expectations with this vintage piece. This sparkling, divine filigree amethyst gemstone is similar to a kiss. Delicate and very special, you are destined to feel like a princess while wearing it. 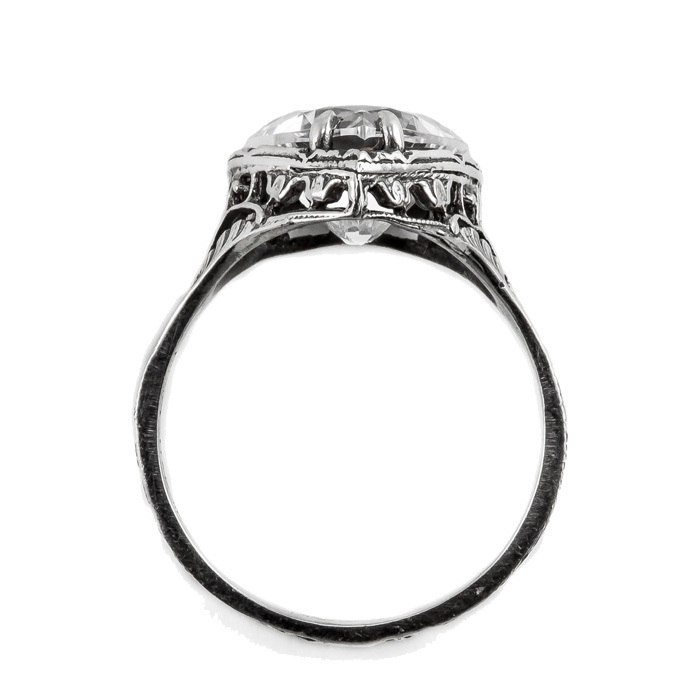 The precious 14K white gold band is the perfect accent to the elegant and classic vintage design. The amethyst gem is round in shape and set in the center of the ring. Measures 10mm and is ready to ship to your home today. A fashion statement all on its own and a perfect accessory to every elegant gown. 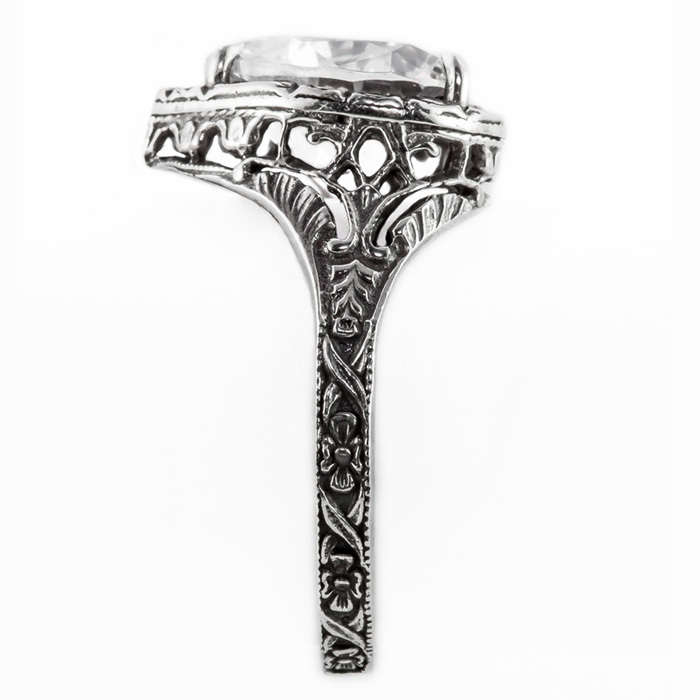 Please reference our ring sizing chart and buy one today for a unique February birthday gift idea. 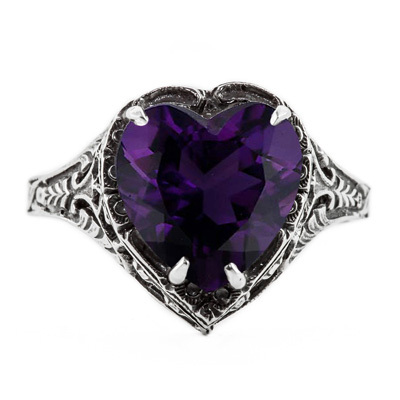 We guarantee our Vintage Filigree Amethyst Heart Ring in 14K White Gold to be high quality, authentic jewelry, as described above.